The cats have developed this nasty habit of assuming that any food product in a metal can with a flip lid is OBVIOUSLY cat food (what were we thinking?!) 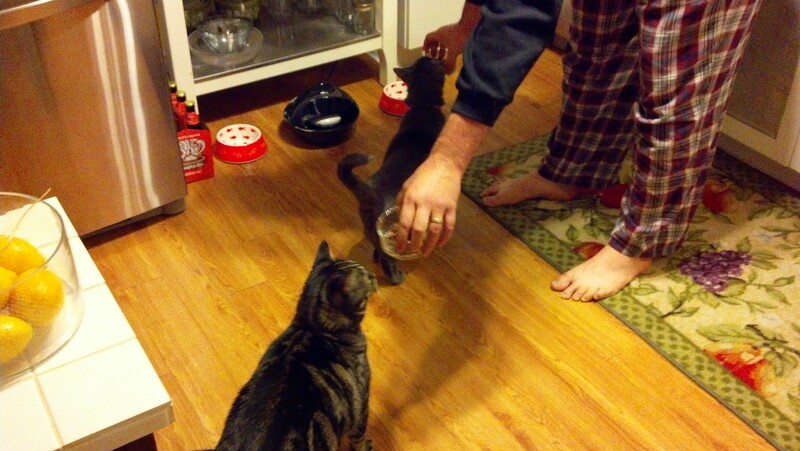 so tonight when the Man and I decided to have soup for dinner, we had two VERY interested cooking buddies. Little did they know that Beef & Barley was NOT on the menu for them. 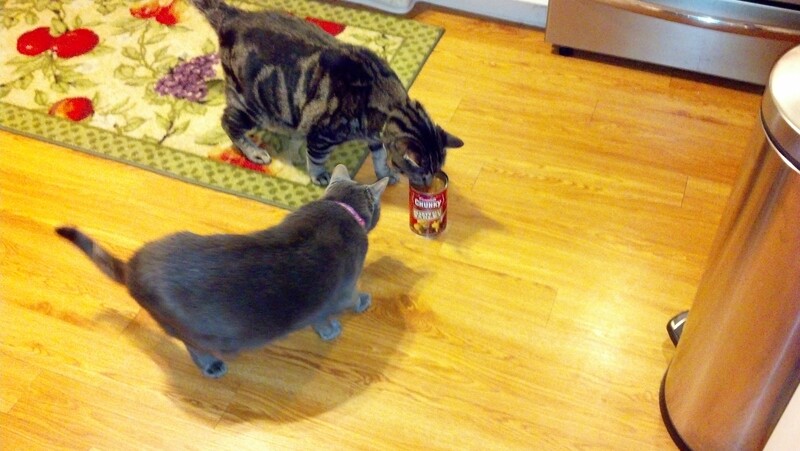 But, being the loving parents we are, we decided to treat them to their own canned dinner. why isn’t it on the floor yet? Which they were VERY interested in, and very annoyed that I was taken pictures. 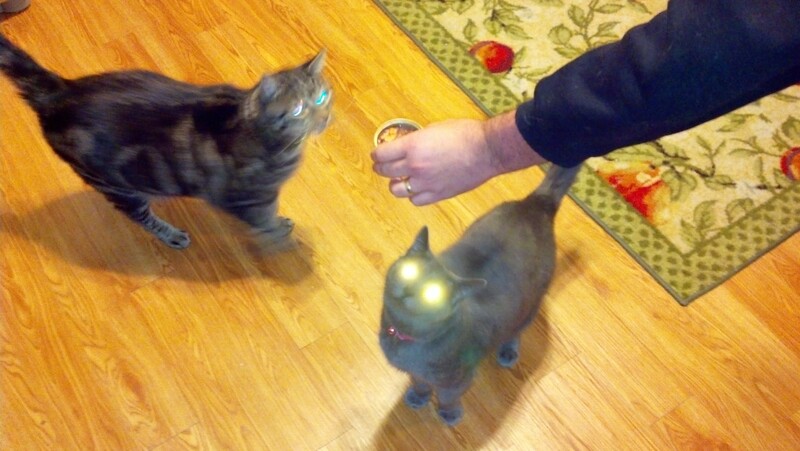 laser beams engage in 3… 2…. 1…. 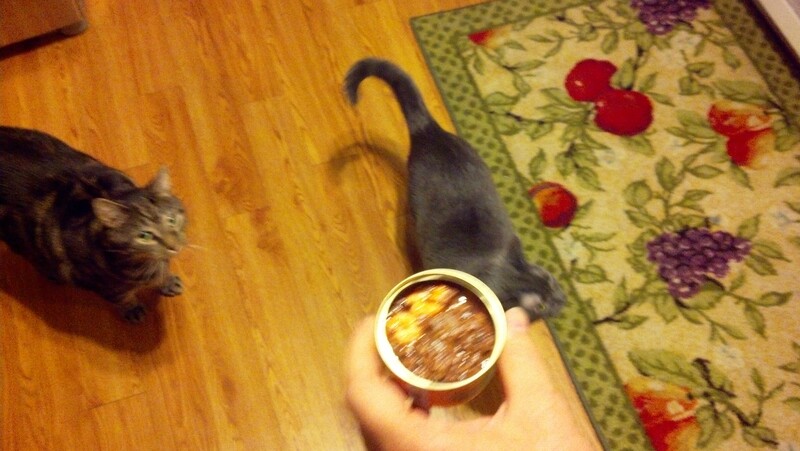 Hope you had a scrumptious and fun feline friday!